Fairview goats produce world-first coffee beans with significant health benefits | Welcome to Fairview's Blog! 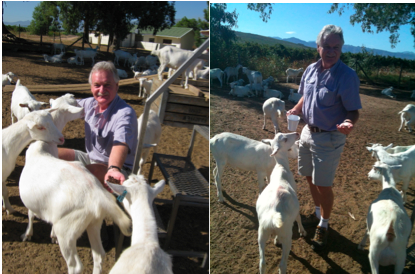 Charles Back, owner of the Fairview Wine and Cheese farm, has once again pioneered an innovative world-first. Those who have visited the Fairview farm and seen the signature Goat Tower, will be forgiven for assuming the goats are solely used for goats milk and cheese. 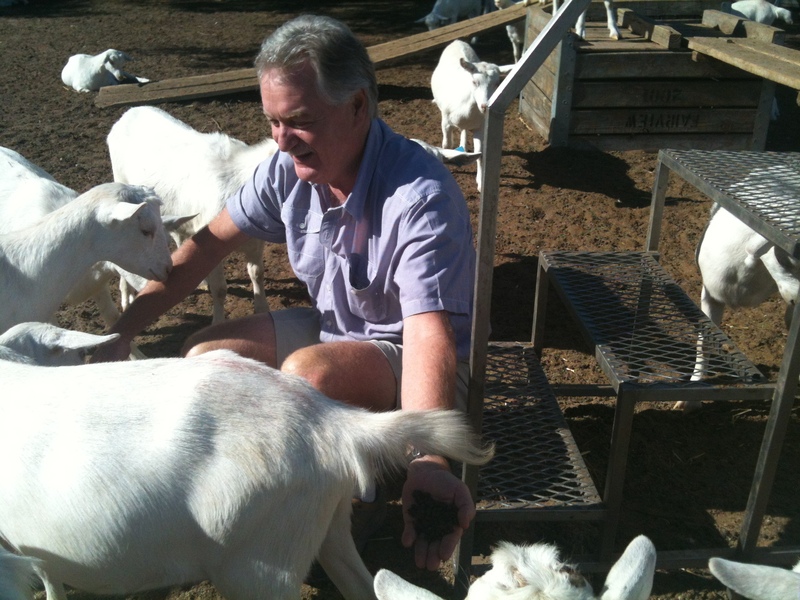 After years of experimentation, Fairview has launched a new, rather unusual variety of coffee, made from coffee berries eaten and then passed by goats. Owing to this unique production process, the aptly named Goffee, has astounded nutritionists with its health benefits. During a visit to Indonesia in 2008 Back developed a love of Civet coffee, one of the world’s most expensive varieties of coffee made from the beans of coffee berries which have been eaten by the Asian Palm Civet. Intrigued by this method of coffee-making he began researching the subject of coffee-making further and enrolled in a Barista course. Following research, experimentation and collaboration locally and with the Civet Coffee Association in Indonesia, Back introduced his goats to coffee berries and produced a unique coffee bean. Coffee berries are ingested by the goats, exposed to gastric juices which enhance the berries, then once they pass naturally through the goats they are put through a process of washing, drying, roasting and brewing. The result is a smooth, aromatic coffee without the bitterness of regular coffee. Proven benefits of Goffee include improved cardiovascular health and increased levels of specific neurotransmitters in our brains which promote a positive outlook, facilitate rejuvenation and contribute to increased energy levels. Goffee drinkers will also experience mental clarity, vibrance and vigor, skin clarity and overall happiness. “Apart from my obvious love of wine and cheese, I have always been passionate about good quality coffee. This inspired my quest to find and produce quality coffee that maximises the natural health benefits of coffee, hence my excitement about Goffee,” says Back.